Mangrove forest purchased by Wildlife Trust of India (WTI) with World Land Trust (WLT) support will become the hub for a new Mangrove Restoration project supported by Apollo Tyres, a leading tyre manufacturer in India. The Kannur Kandal project, ‘kandal’ meaning mangroves in Malayam, will build on the work begun by the WTI and WLT partnership in 2006 as a result of WLT’s Reef & Mangrove appeal. 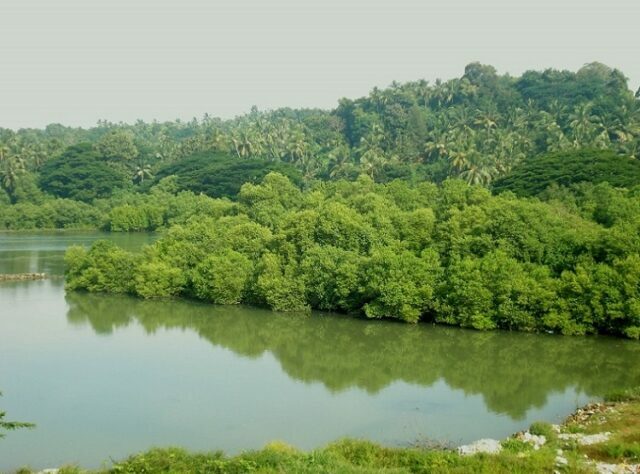 Protecting mangrove habitats across the Kannur district of Kerala, WLT initially assisted WTI in purchasing just short of 19 acres (7.5 hectares) of this species-rich habitat. This land will now be used as a base for mangrove research and education, contributing to the greater mission of promoting mangrove restoration through community and government participation in Kerala and beyond. Mangroves, sometimes little more than shrubs, sometimes tall trees, are adapted to live in coastal or estuarine areas with water of high salt content. Mangroves have stilt-like roots which form an intricate structure for coping with saline tides and changing water levels, and these act as buffers against cyclones and tsunamis. Their complex root systems are the foundation of a unique habitat as sediment collects within them, providing a food source for a wide variety of aquatic species that use this sheltered habitat as both refuges and nurseries. Mangroves in the Kannur district are considered vitally important for biodiversity as they are known to harbour more than 170 bird species (including wintering species such as Asian Openbill-Stork Anastomus oscitans, European White Stork Ciconia ciconia, and the Eurasian Spoonbill Platalea leucorodia). There are some 110 species of fishes in the mangrove lagoons, 14 species of molluscs including two economically important species of edible clam and 15 species of crabs. There are also 13 recorded species of mammals, including the endangered Smooth-coated Otter (Lutrogale perspicillata), whose population is thriving despite close contact with humans, and the Jungle Cat (Felis chaus). However, the mangroves of Kerala are struggling to survive. Once they covered nearly 173,000 acres (70,000 hectares) but are now reduced to less than 4,500 acres (1,750 hectares). The WTI-Apollo Tyres project will be based in Kunhimangalam village, which is one of the largest mangrove villages of Kerala, where a mangrove nursery will be established and community-based initiatives will focus on increasing public awareness and reducing threats to mangroves. World Land Trust is pleased about this news to continue the protection of mangrove forests and involve the local community in the protection of this important habitat. World Land Trust launched the Reef & Mangrove Appeal in response to the 2004 Boxing Day tsunami to help with mangrove and coral recovery. Most recently WLT funding was used to protect the mangrove habitat of manatees on the Guatemalan coast by funding the purchase of Tapon Creek Reserve by partner Fundación para el Ecodesarrollo y la Conservación (FUNDAECO). WLT is not currently working on a Reef or Mangrove project, but if you would like to support this initiative you can donate to the Action Fund and specify “Mangrove Appeal India” in the comments box to earmark your donation. 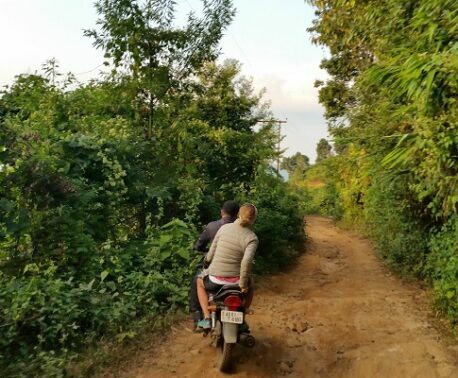 World Land Trust works closely with Wildlife Trust of India on elephant corridor projects and tree planting. You can make a donation to elephant corridors through the link below.